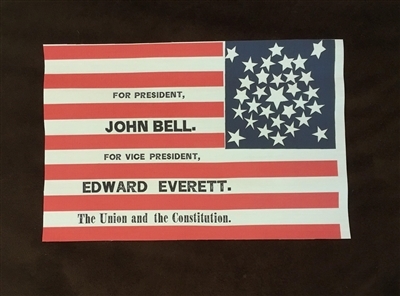 One sided, printed cotton campaign flag, produced to promote candidate John Bell during the 1860 election. The Flag measures approx. 7" x 10", and has a raw edge, per the original, though you could add a rolled hem if you wish. 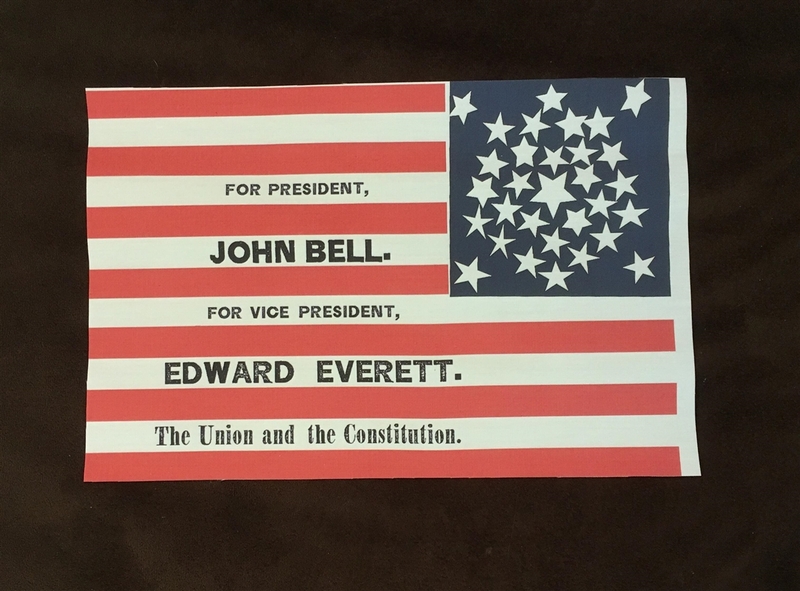 There's numerous ways that you could mount, or display the flag, though most parade flags of the era show evidence of being mounted on a small staff.